Fieldwork for ChinaVine was completed in that portion of Kham located within the Kandzé Tibetan Autonomous Prefecture of Sichuan Province. The prefecture’s area is 58,332 square miles (151,078 square kilometers). The population is approximately 880,000, with Tibetans accounting for 77.8% of the total population. The capital city of Kanzé is Dartsedo. The main language spoken in the prefecture is the Kham dialect of Tibetan. This includes sub-dialects, at times, unintelligible to other Tibetans living in Kanzé. 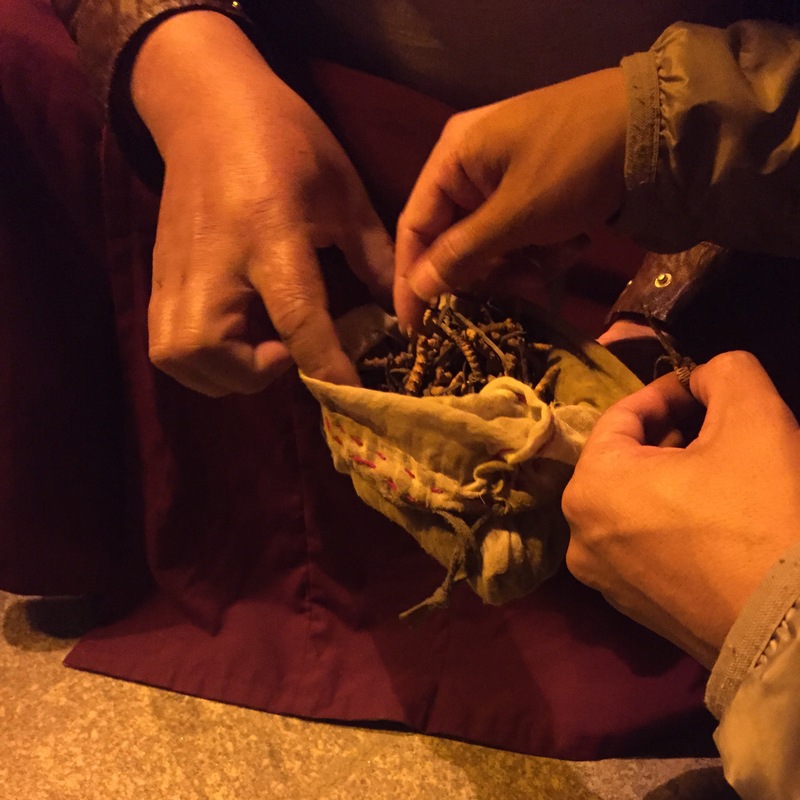 From May 20 – 29, 2015 the ChinaVine fieldwork team traveled approximately 2000 kilometers (1243 miles) on an itinerary that included the towns of Dartsedo, Drango, Sertar, Pelyou, Gato Monastery Village, Dêge, Kandzé, Rongdrak and Lhagang. At 5500 meters (18,044 feet), Mount Chola was the highest pass ascended by the ChinaVine team. The towns and gompas we visited in the valley areas were between 2800 (9,186 ft.) and 3400 meters (11,155 ft.). Travel was by two Toyota Land Cruisers on roads ranging from improved four or two lane highways to unpaved pathways. At times roads were being improved as the fieldwork team traveled them. In the mountains, roads or pathways were often snow covered. Falling rocks were also common. Wandering Yak had the right of way at all times. The region in which fieldwork was conducted is associated with the parasitic fungus, ophiocordyceps sinensis, known locally as Yartsu Gunbu or “winter worm.” In English it is referred to as “caterpillar fungus.” Winter worm is believed to have medicinal qualities and is quite valuable. The harvesting and sale of winter worm contributes significantly to the regional economy. Harvested in the spring, the river valleys were dotted with encampments of collectors. Winter worm was readily available from collectors in village and city squares as well as in local apothecaries. 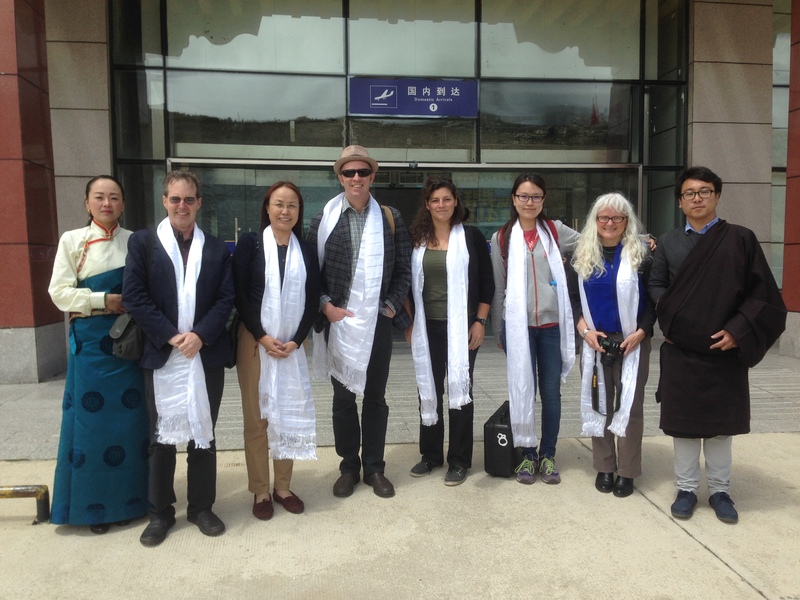 The members of the field work team in Kandzé were Doug Blandy (University of Oregon), John Fenn (University of Oregon), Laurie Hicks (University of Maine), Hilary Kane (University of Maine), Yu Quin (Minzu University), Yang Bhum Tsering, Wuerxiya (Minzu University and University of Oregon). The team’s principle Tibetan translator was Yang Bhum Tsering. However, there were times where a Tibetan dialect was first translated into a more standard form of Tibetan in order for Yang Bhum Tsering to fully comprehend the nuances of the conversation. The team’s principle Chinese translators were Yu Quin and Wuerxiya. Yang Bhum Tsering translated to Chinese with Yu Quin and Wuerxiya translating to English. Principle videographers/photographers were John Fenn, Laurie Hicks, Hilary Kane and Wuerxiya. Doug Blandy and Laurie Hicks conducted interviews. Principle interpretation for the ChinaVine website is by Doug Blandy and Laurie Hicks with additional contributions by John Fenn, Wuerxiya and Yang Bhum Tsering. Bridget Hall (University of Oregon) was the team’s media manager during the interpretive process. Tibetan words and place names used in this section of ChinaVine conform to usage in the Tibetan and Himalayan Library (THL). In those cases where a match could not be found in the THL, the phonetic spellings were provided by the people we interviewed, or by our interpreters, during fieldwork.